You might not think much about how humans impact the land until you spend time in wild places. The forests of south Alabama are a prime ex- ample of how we’ve co-existed with nature and reshaped it for our benefit. From Native Americans to European settlers, Alabama’s forests have provided food, shelter, medicine, and building supplies for generations. Some have tread lightly through the forest. Others changed it entirely. Long ago, the Coastal Plain was primarily longleaf pine habitat – one of the most ecologically diverse in North America. From Texas to Virginia, more than 90 million acres of old growth longleaf pine blanketed the South with an estimated 29 million acres in Alabama. By the early 1900s, much of that land had been clear-cut for timber or farming. The trees came back with the introduction of sustainable forestry practices, but the remaining stands of longleaf pine were few and far between. With the rise of the timber industry, less ecologically diverse pine plantations took the place of longleaf habitat and dominated parts of Alabama’s landscape for decades. The timber industry began to contract in the late 20th century through efficiencies, consolidations and other factors. This placed some of those pine plantations back in the public domain through programs like Alabama’s Forever Wild Land Trust. For example, the 18,448-acre Perdido River Wildlife Management Area (WMA) in Baldwin County, once mostly commercial timberland, has been open to public recreation since 2007. Since its inception in 1992, the Forever Wild Land Trust has purchased lands to augment WMAs and state parks, created nature preserves, and increased access to public land for general recreation. Forever Wild also works to restore some of these lands to their original habitats; at Perdido that means longleaf pine. Work on a long-range project to restore much of Perdido to a mostly longleaf pine forest will allow future generations of Alabamians to experience the land as it was hundreds of years ago. The slow-moving Perdido is a classic blackwater river, which gets its name from tannins released by decomposing vegetation that obscures the mostly sandy bottom as it winds past its many white beaches. Most of the world’s blackwater can be found in the Amazon River Basin in South America or in the southern United States. Currently, the finishing touches on two new outdoor recreation opportunities at Perdido are underway. The Perdido River WMA Canoe Trail is in the final stages of construction and on track to open in early 2016. A lengthy hiking trail that parallels the river is also being created. Both of these projects will offer the pubic more options to explore the river and forest. The canoe trail will wind down 19 miles of the Perdido River. At four stops along the way, paddlers can spend the night in one of six newly built camping shelters. 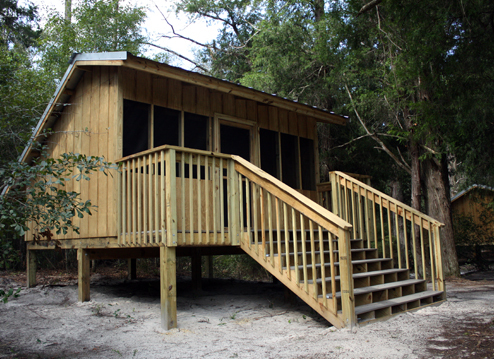 The shelters will be reservation-only through a system similar to the Bartram Canoe Trail reservation website. The screened-in and elevated shelters will be $20 per night and can sleep up to eight hikers or paddlers. No restrooms are available at the shelters. The river meanders for about 60 miles before draining into Perdido Bay. For most of its run, the Perdido also forms the border between Alabama and Florida. Canoe access on the Florida side allows more adventurous paddlers the chance to float most of the river. Three access points are planned along the canoe trail with the southernmost featuring an improved boat ramp. No reservations are necessary to paddle the canoe trail, only for the camping shelters. Tent camping is also allowed for free on the many sandbars on the Alabama side of the river. In addition to the canoe trail, the Perdido River WMA Hiking Trail is being constructed through a partnership be- tween the Alabama State Lands Division and the Alabama Hiking Trail Society (AHTS). The trail is blazed in yellow and is a mixture of WMA roads and newly constructed path that follows the river for most of the hike. When complete, the Perdido trail will be part of the Alabama Trail – more than 500 miles from Gulf Shores to the Tennessee Valley mountains. About 13 miles of the proposed 20-mile trail is ready to hike. The completed section runs from the south trailhead to the midpoint canoe access. Most of the hike is easy, but there are moderate sections that require traversing log bridges. Still, hikers of any skill level can easily make the trek. For trail maps and more information about hiking Perdido, visit the AHTS website hikealabama.org. Both hunting and fishing are popular activities at Perdido. The WMA is jointly managed by the Alabama State Lands Division and the Wildlife and Freshwater Fisheries Division (WFF) with State Lands focused on the Forever Wild aspects of the property and WFF on hunting and fishing. Largemouth bass, bluegill, and longear sunfish attract anglers to the river while white-tailed deer and turkey draw in hunters. Many other sport fish and small game lure sports- men to the WMA when in season. Hunters will need a valid hunting license, a Perdido River WMA hunting permit, WMA hunting license, and a harvest record when hunting deer or turkey. 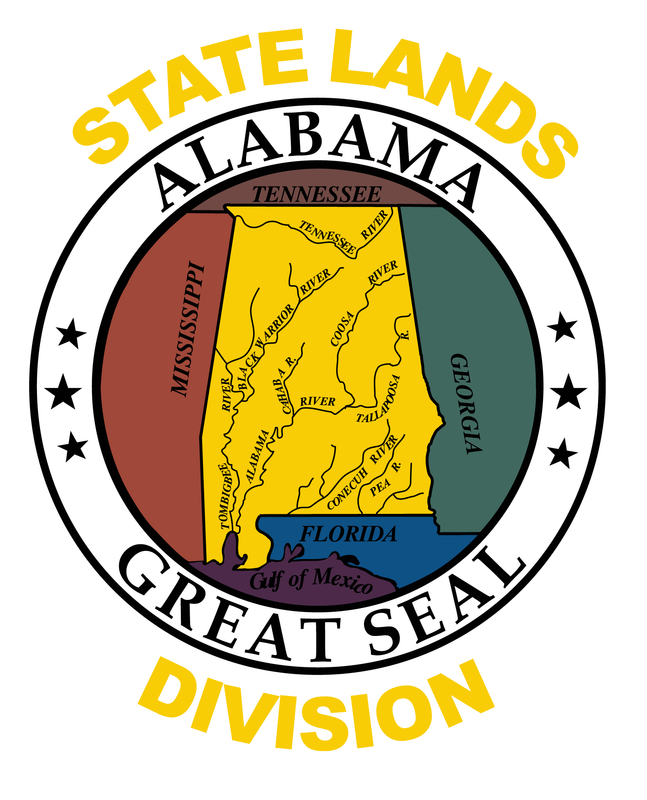 Hunting licenses, WMA permits and WMA licenses can be obtained online at outdooralabama.com. Attention anglers: while an Alabama fishing license is all you need to fish the river, it doesn’t allow Alabama anglers access to the streams and tributaries on the Florida side. Make sure to check with Florida Fish and Wildlife before exploring the Florida side of the Perdido River system. Perdido offers several other recreational opportunities and is open to the public year-round. The river’s numerous sandy beaches are perfect for swimming and other day-use activities. Visitors can also watch wildlife while walking or riding mountain bikes along the WMA roads. Plan ahead and bring plenty of water, sunscreen and snacks if you spend a full day or more exploring Perdido. Some of the WMA roads have recently been improved with gravel, but others are only drivable with the right vehicle. Make sure you have enough clearance to avoid bottoming out or getting stuck in the mud after a hard rain. If you can’t see the bottom of the mud puddle, avoid driving through it. Rainbow snake, pine snake, coachwhip, diamond back rattlesnake, gopher tortoise, alligator snapping turtle, white-tailed deer, Eastern wild turkey, bobwhite quail, white fringed orchid, panhandle lily, American kestrel, Henslow’s sparrow, swallow-tailed kite, belted kingfisher, and many more. Pitcher plant bogs, upland hardwood forest, flood plain swamp, longleaf pine sandhills and savannahs. 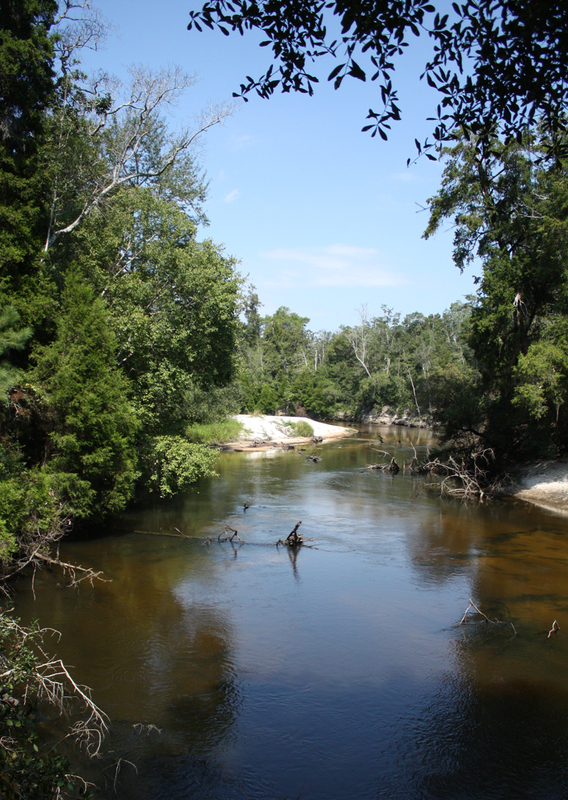 The main entrance to the Perdido River WMA is just off Old Pensacola Road (Highway 112) in Baldwin County.